Obi is a serial entrepreneur, virtual business mentor, and consultant working with The Prince’s Trust, Tony Elumelu Entrepreneur Programme, and Grow Management in London, charities that support small businesses in the UK and Africa. • Supports The Prince’s Trust Enterprise Programme and provides specialist support in technology. • Helps 11- to 30-year-olds who are unemployed or struggling at school to transform their lives, providing a more holistic end-to-end offering, with better support onto, between and beyond the core programs. • Working and collaborating with assigned mentees (small businesses and start-ups) in a task-based, 12- week learning forum, where he encourages and guides each mentee. • One-on-one telephone/video meetings for mentees to ask questions, raise issues and receive guidance regarding their businesses. • Develop and enhance consulting in cross-cultural communication and coaching skills, mainly via web access to the TEEP mentorship and learning platform. • Consulting via technology to Uganda and Rwanda. • Developed and enhanced consulting in cross-cultural communication and coaching skills. • Enhances the business skills of entrepreneurs to increase their profitability. “My high point was supporting a client in Uganda to achieve a 40 percent increase in profit within six months of engagement,” he says. 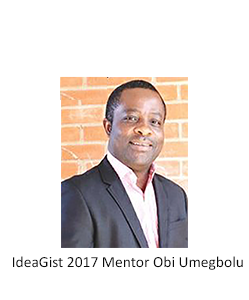 With a career spanning 17 years since completing his MBA in Engineering Management at the University of Portsmouth in Hampshire, UK., Obi went on to pursue intensive training and coursework in marketing and business coaching to develop his natural aptitude for relating creativity and innovation to inspirational ideas for businesses that meet needs and solve problems. 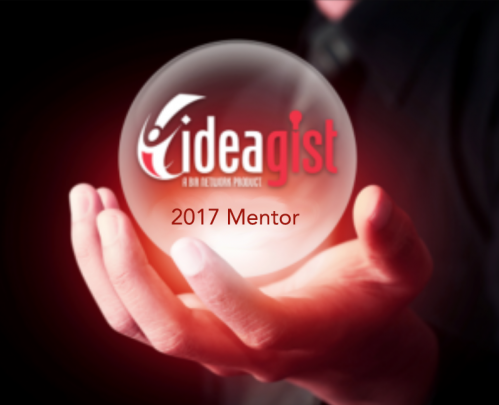 Asked why he chose to mentor startup talent with IdeaGist, Obi’s reply offers a glimpse of his own well-honed “big picture” outlook on just a few of the key factors that will continue to drive profitable entrepreneurship in the 21st Century.